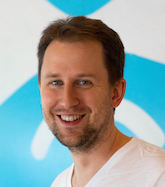 Many of the Drupal 8 core APIs are shaping up now, and as Larry Garfield likes to say "we are still not ready porting Drupal 8 to Drupal 8". Meaning that the new APIs introduced are not used widely at all places where they would be applicable. Views is in core, but not all listings are views, router configuration instead of menu hooks are in core, but most modules use menu hooks, and so on. We of course target the final Drupal 8.0 release to have these conversions done, but we need more help to do them. Let me highlight items that interest me most as the multilingual initiative lead (but most of these rhyme with multi-channel publishing / web-services efforts as well). Drupal 8 has a new improved Entity API to manage content entities. What better opportunity to get to know the new content handling APIs than being involved in porting core components to it? 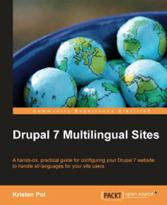 Web services and multilingual are both fundamentally in need of a unified handling for content-like stuff in Drupal. Comments have already been converted to the new entity API (http://drupal.org/node/1778178) which can serve as an example for conversions elsewhere, namely nodes (http://drupal.org/node/1818556), users (http://drupal.org/node/1818570) and so on. See the full list of conversion issues at http://drupal.org/node/1818580. Once these conversions are done, we still need to apply multilingual property handling to do such basic things as editing titles on nodes in different languages (http://drupal.org/node/1498674). While the existing entity types need conversions, there are also other content-like things in core that need to be converted to entities proper. For example aggregator feeds (http://drupal.org/node/293318) have been converted to content entities but more needs to be worked on. Hands are needed to help with converting menu links (http://drupal.org/node/916388) and custom blocks (http://drupal.org/node/1871772) as well. The new configuration system in Drupal 8 is great in unifying all configuration elements under one system instead of custom one-off database storages and APIs for configuration. There is a laundry list of system settings forms to convert to configuration at http://drupal.org/node/1696224 including locale module settings, file system settings, etc. still to be done. Drupal 8 also comes with configuration entities, which store their data with the configuration system (and are not fieldable). Some of the previously custom coded features such as views, menus (http://drupal.org/node/1814916) and contact form categories (http://drupal.org/node/1588422) have been converted to configuration entities. Others like languages are still to be done (http://drupal.org/node/1754246). Track all related issues at http://drupal.org/node/1802750. A configuration schema system was just recently added to core (see http://drupal.org/node/1905070 for documentation and examples). Some configuration files got a schema defined in the initial patch, but there is still more work to be done to adopt this and complete. For example, only some of Views got schemas written, and we need to complete that (http://drupal.org/node/1910606). 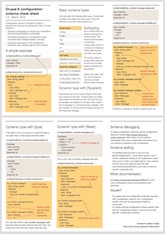 The meta issue to track and find schema issues is at http://drupal.org/node/1910624. I think this is a unique opportunity to (a) get to know Drupal 8 early (b) still have a chance to shape things in Drupal 8 where you find them confusing (instead of bragging about them too late when there is no chance to change) and (c) help Drupal 8 become the great consistent platform we all want it to become. Better web services features and dramatically more extensive multilingual features are also a huge plus! How to get help if you get stuck? Most of these issues have someone who got it started and you can find the people who worked on previous complete conversions that I linked to above. Find these people on IRC, get involved in virtual meetings, ask at core mentoring hours. Sometimes all is needed is reviews, help testing or help writing tests.